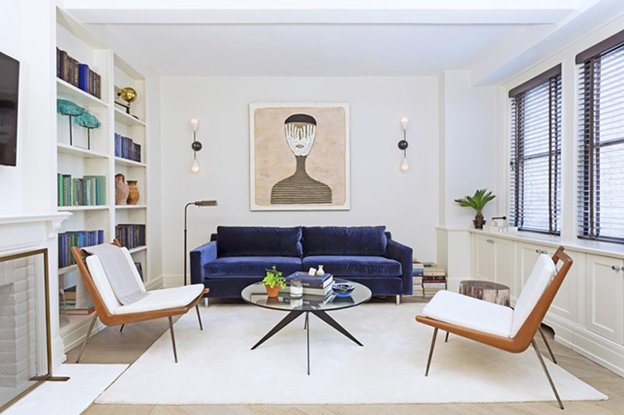 With all eyes on Marie kondo’s inspiring take on keep tidy and organized, we turned to Décor Aid interior designers to help you effectively update and rethink your living room storage solutions and organizing ideas so you’ll have an easier time keeping everything feeling well-judged and purposeful. If you have too much visually going on in one area, your living room will naturally end up feeling cluttered and claustrophobic. 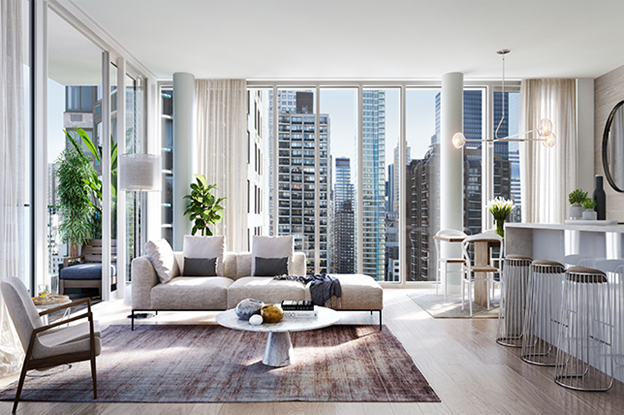 To avoid this heavy-handed feel, separating your living room into different ‘zones’ determined by use can help you make better use of the space you have to work with. To effectively keep everything tidy, the more storage space your living room has, the easier of a time you’ll have keeping everything organized. And since coffee tables can take up a lot of space, look for tables that boast drawers and features that will work to your benefit. Just because you need clever living room storage solutions doesn’t mean that you need to be bringing in generic plastic bins to keep everything organized. 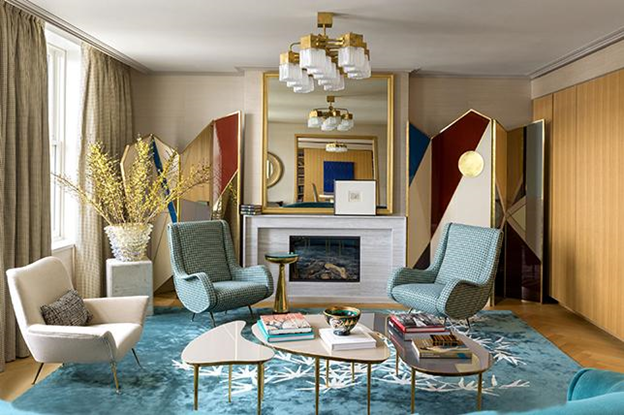 Instead be resourceful and creative in your approach and source and look out for beautifully designed pieces that will add a decorative note to your living room. 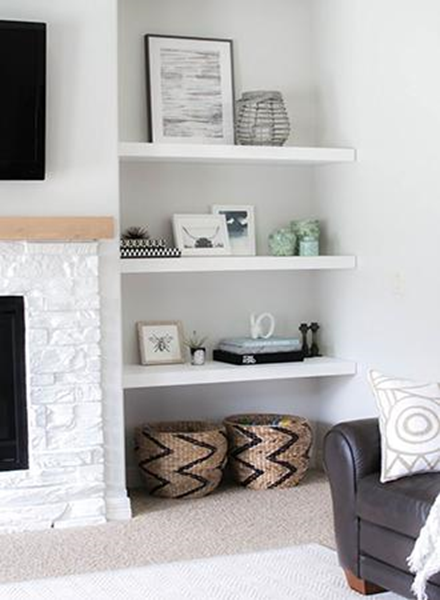 Since wall space usually isn’t reserved for effective storage solutions, easy to install lateral shelving can make for a terrifically inexpensive add-on to store and show off pieces that will make your living room feel lived-in and complete. It should go without saying that the less clutter you have, the less living room organization hacks you’ll need. Go throughout your living room and reevaluate and edit what you love, what you need, and what’s holding you back. 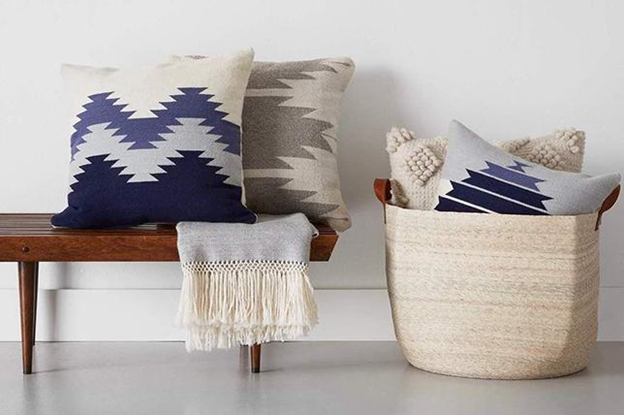 Chic baskets can make for an attractive and affordable way to keep everything together, while lending even the most minimal and modern of living rooms a sense of the organic and handmade. 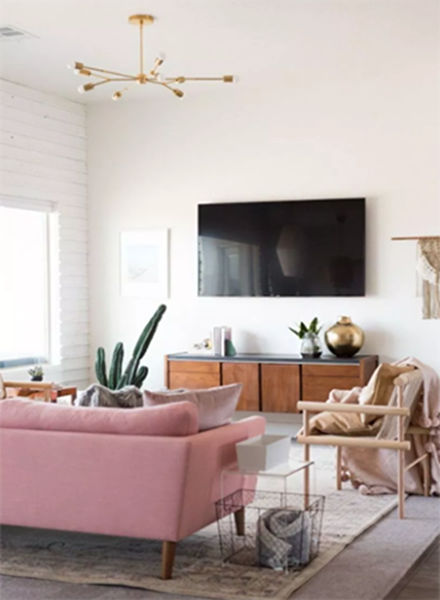 By spending just 5 minutes to tidy and organize your living room each day, you’ll have a much easier time keeping everything in order and you’ll take pride every time you walk through the door to a clean home. 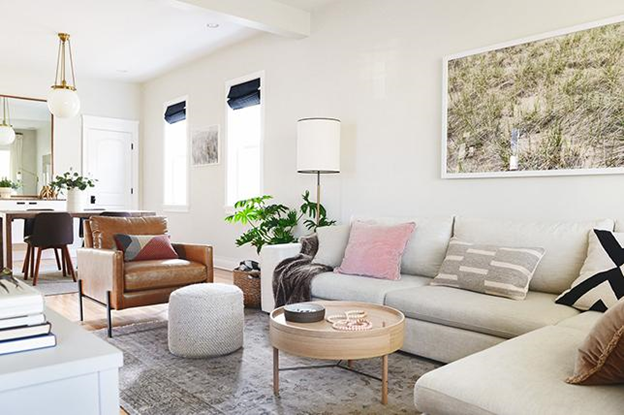 Since coffee tables are stationary more often than not, they don’t make for the best options for small living rooms and busy households alike. They can take up too much visual space, and they don’t often have multi-purpose capabilities. Instead, an oversized ottoman can be used for added storage while still giving you tabletop space by bringing in a tray for support. And they’ll also lend your living room more seating options. When it comes to space saving living room ideas that don’t have to cost a small fortune, shelving vertically running up a wall can work to inject a chic visual punch in your living room while allowing for extra storage for the items that you want to display decoratively. For extra storage room to help you keep your living room tidy at all times, instead of a hollow TV stand, think about repurposing an old multi-drawer dresser for added space to stow electronic and entertainment essentials. 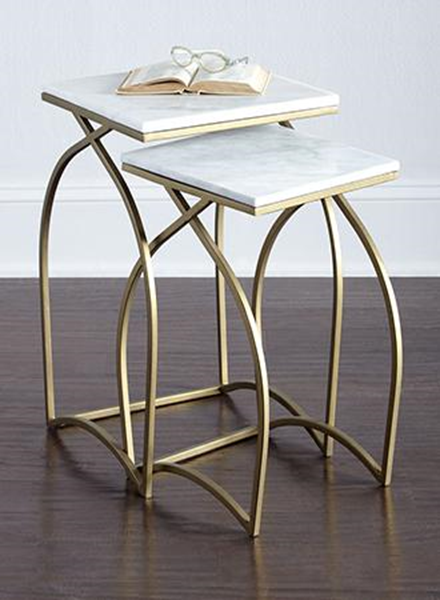 A trio of small nesting table are perfect for small spaces and larger ones alike. 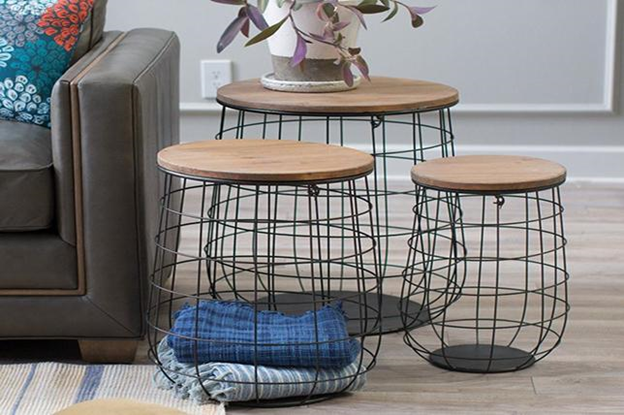 Nesting tables help you save floor space and can be out when you need them, and out of sight when you don’t. 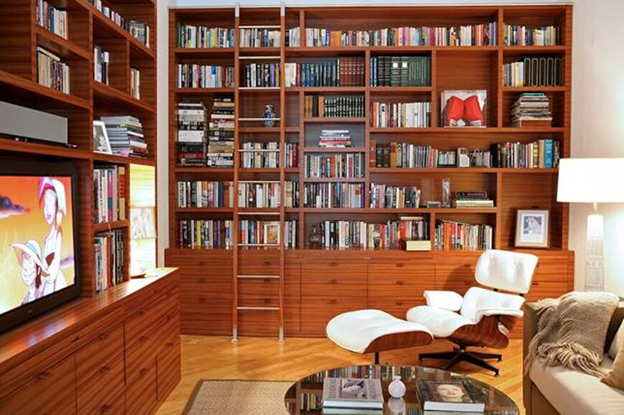 Who doesn’t love multi-functional pieces of furniture? A storage ottoman is one of the least expensive of them all. 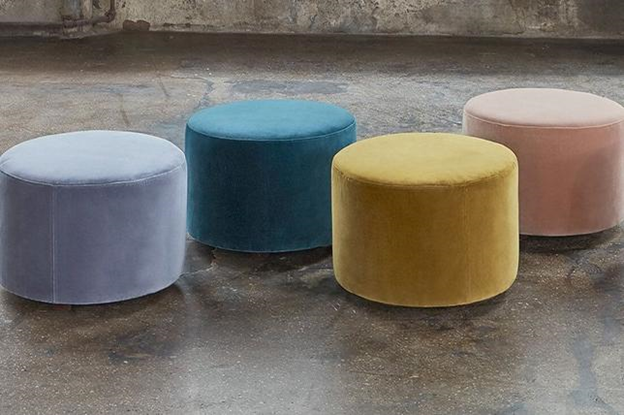 Storage ottomans are great for concealing essentials you use every day and they’re handy for extra guests. 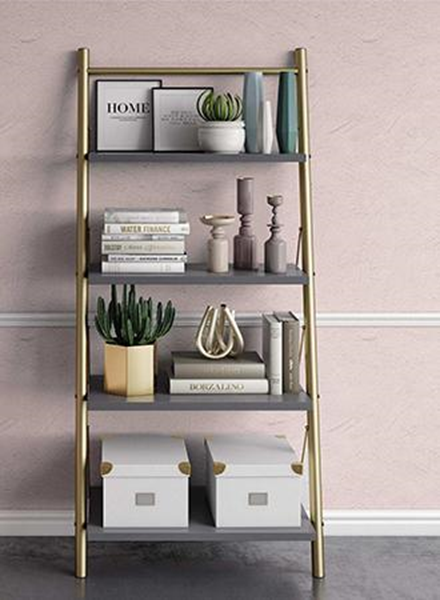 A handy storage ladder-like leaning bookcase can make for a stylish storage hack – many things can be stored on a ladder, from plants to books for an unexpected take on displaying decorative items. Since it can be challenging to collectively display your books, records, and magazines all at once, installing slim edged wall ledges makes for a great way of storing them while showing off their beautifully stylized covers. Plus, you can switch them out from season to season or when you add new must-see pieces to your collection. For homeowners, home multi-risk insurance is the necessary security for the protection of their property, but also for damage caused to third parties. It is therefore strongly recommended to take out a contract of this type. The higher the insured amount, the higher the premium. But this is not a reason to underestimate your assets. 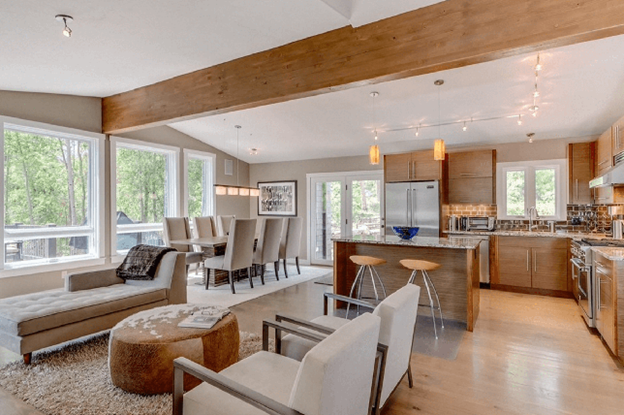 For a standard home, count from 5,000$ to 10,000$ of furniture per main room. Reassess this amount after a major purchase (for example, video equipment) or heavy work (building a veranda, elevation). Look at the amounts of the deductibles (the amount that will remain your responsibility in case of disaster). Ask about the repayment terms: will it be done after applying a coefficient of obsolescence (for example, 10% per year for a sofa) or new value, that is to say, to say without obsolescence? For the flight guarantee, check the requirements (alarm, three-point lock, easily accessible windows bars) of the insurer. If you do not respect them, your compensation may be reduced. 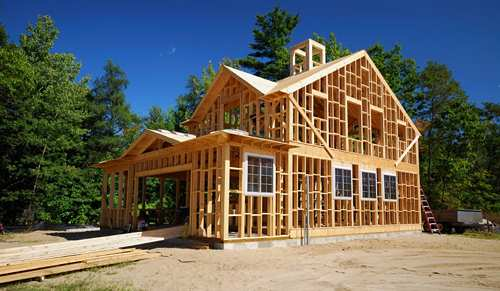 Check that your outbuildings (garden shed, garage or cellar) are covered by your home contract. If you have equipment such as a swimming pool, you must take out a complimentary guarantee. Your home rental property insurance also covers you for property damage or bodily injury that you, your spouse, your children or your pet, could cause to a third party. Look at the exclusions (the practice of a dangerous sport or possession of a dangerous animal, for example) and, if necessary, ask the insurer to adopt the guarantees. More than premiums, compare the guarantees. Indeed, the modesty of a premium can simply hide a reduced coverage. Also look at what services are offered in case of disaster. 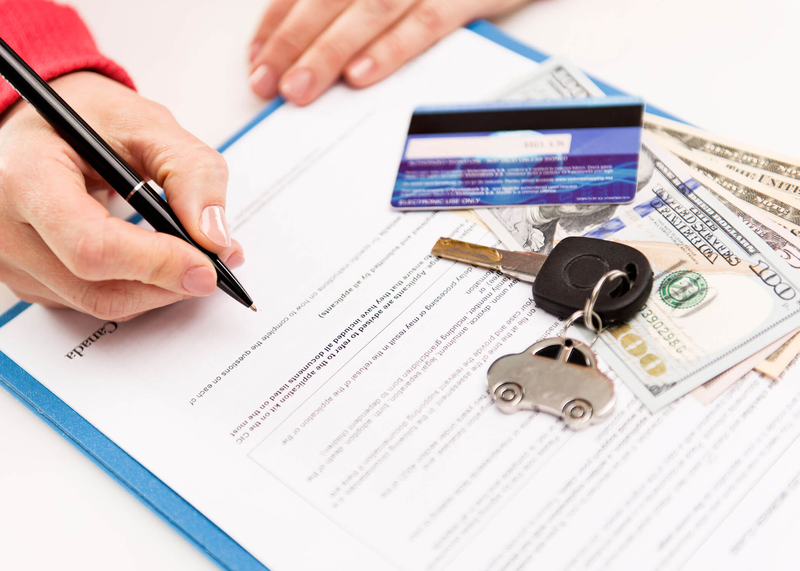 To succeed in a rental investment, you must invest personally in operation, act with the method and apply some basic rules, such as being well insured. How to calculate the profitability of a rental investment? How to finance your rental investment? To cope with the risk of unpaid bills, which affects 3% of leased goods, landlords who are in the housing or not can take out specific insurance. The best known is the guarantee of unpaid rent, whose objective is to protect you from unpaid rent and charges, the deterioration of your property, litigation costs and the premature departure of the tenant. The main guarantee concerns unpaid rent and / or rental charges, but insurance coverage is not unlimited. In case of damage, the insurers provide for a maximum duration of compensation (24 or 30 months).In addition, an overall ceiling of compensation is often provided: between 75,000 and 100,000 dollars. Also be aware of the limitations of each warranty. Litigation costs (recovery of outstanding payments, eviction of the tenant, etc.) are covered, usually without additional cost. A payment limit can, however, be applied. This guarantee is appreciable not only financially, but also for the comfort it provides when the litigation procedure is entrusted to the insurer. Being an observant homeowner is the best way to stay on top of home maintenance issues. You can reduce the chance of incurring an expensive repair bill by performing basic, routine maintenance on your home. While you may be able to do the majority of your home maintenance yourself, there are some tasks that require the assistance of professionals. The roof of your home should be inspected several times a year. You can use the change of seasons as a reminder to check your roof. If you notice visible problems such as loose or raised shingles, you should have a professional come out and inspect your roof. Jacksonville roof repair can inspect your roof and make repairs or replace the roof if necessary. They can also check out the condition and functionality of your gutters, downspouts and chimney caps. Preventative roof maintenance can help protect the contents of your home. You can do most of the preventative maintenance in the interior of your home. Being alert to any potential issues such as leaking faucets or slow drains gives you a chance to take care of a small problem before it becomes a big repair. Cleaning faucets and drains is a simple project that doesn’t take much of your time. Changing your furnace filter is another maintenance task you can do yourself. Vacuuming heat vents and registers and refrigerator coils is also a DIY maintenance project that should be done periodically. To avoid a major problem with your home’s foundation, you should have a professional check out any cracks in the foundation as soon as you notice them. Leaves, grass and debris can prohibit you from seeing cracks when they first appear. Periodically raking, clipping grass or trimming shrubs is the best way to see the condition of your foundation. 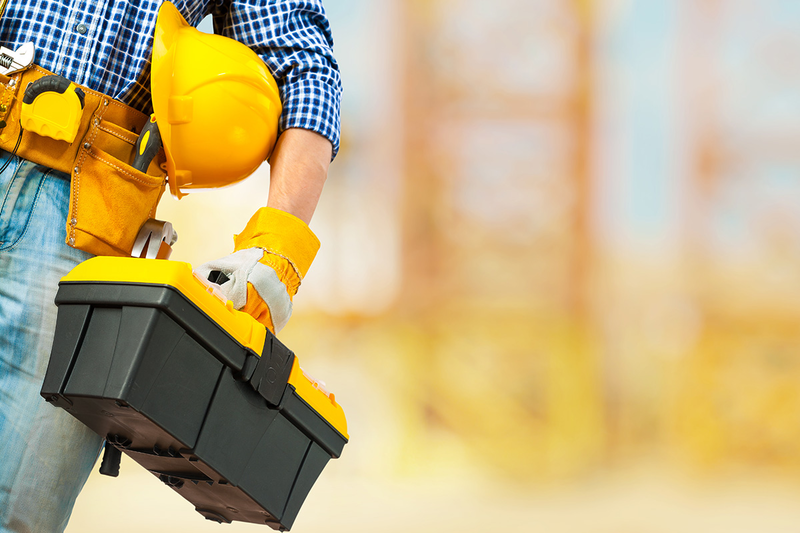 Setting up a maintenance schedule is a good way to assure that preventative tasks are done regularly. Most of those tasks aren’t extensively time-consuming. Neglecting to do them can be hard on the budget. Wrought iron can add an elegance to your home that is durable and timeless. Used before many other types of material were available, wrought iron is being chosen today for the unique style it boasts. It is used on a variety of things from interior and exterior wall décor to lighting, fences, railings, and doors. Any home can benefit from the use of wrought iron wall décor. It is available in virtually any style and size that is desired. 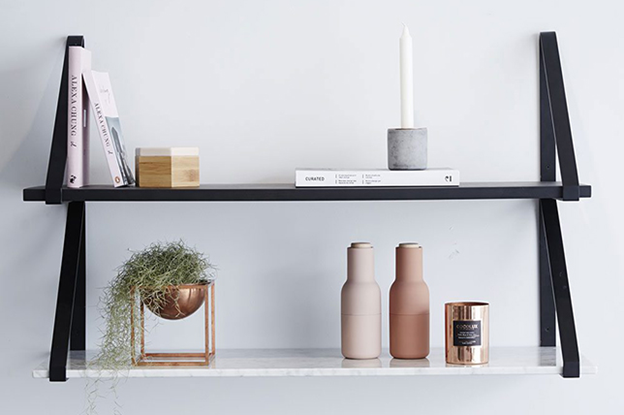 Several pieces can be displayed together to provide a very handsome focal point for any room. Clocks, candle sconces, trees, and scrolls are just a few of the different types that can be used in homes. Wrought iron can be used in decorating other ways. Lamps and picture hangers are also popular wrought iron pieces. Lamps can be electric or use candles to create atmosphere. If you do not want to use real candles for safety reasons, bulbs are available that create the look of flickering candles. Chandeliers made of this material are often chosen for dining rooms or entryways. 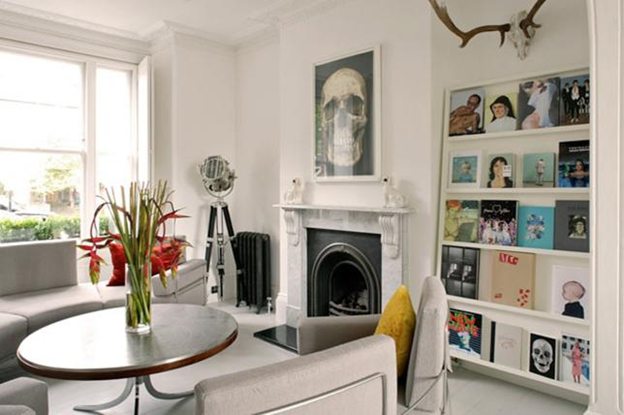 This decorating style is used in many homes to enhance a particular look. Villa architectural style, as well as country benefit from the use of wrought iron décor. A wrought iron fence provides a beautiful look and security. 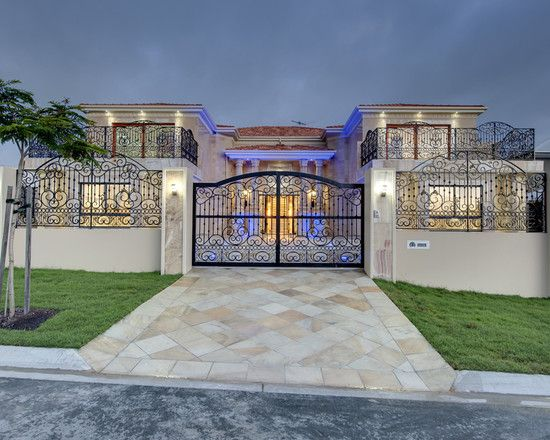 The fences and gates are strong and add nice curb appeal to homes. If you choose this type of fencing, you can add to the look by having wrought iron railing or balusters. One business that provides wrought iron deck balusters is Union Metalworks. Wrought iron doors are another way to provide a great look for any home. Some people choose the type with scroll work for their beauty. They are also quite strong and provide safety and security. As an entryway door, wrought iron choices can add an affordable and low maintenance option that is also stylish. Just like fences and gates, they also provide curb appeal.